Earlier: Adrianne Haslet, who survived the Boston Marathon bombings, was seriously injured when she was struck by a car in Back Bay, she wrote on Instagram Monday. Police say the collision occurred around 7:15 p.m. Saturday and that the driver received a citation for failure to yield to a pedestrian in a crosswalk. 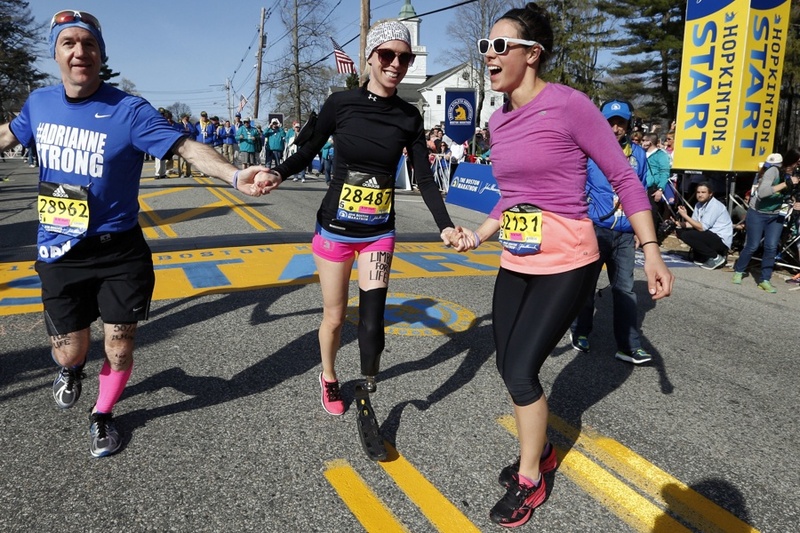 In a tragic coincidence, the site of the crash would have been mere blocks from the marathon finish line, where Haslet was badly injured in the explosion in 2013 and lost part of her left leg. In the years that followed, Haslet’s story has been a remarkable one. A professional dancer, she went on to take the stage during a TED conference in Vancouver and dance once more, on a bionic leg built at MIT, then appeared on the TV show “Dancing with the Stars.” Later, in 2016, she ran the Boston Marathon on a carbon-fiber blade, in the process raising funds for a nonprofit called Limbs for Life, which helps buy prosthetics for those who can’t afford to buy them on their own (after the feat, Tom Brady called her an “inspiration”). She has posted on social media about training to run the marathon again this year.